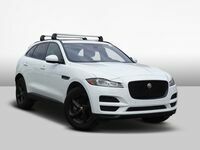 Luxury crossovers like the award-winning Jaguar F-PACE are growing in popularity and with an updated model lineup, the 2019 Jaguar F-PACE is more powerful and more advanced than ever before. In a popular segment, the Jaguar F-PACE promises to be a fan favorite and will go toe to toe with luxury-brand heavyweights. Take a closer look at what sets the Jaguar F-PACE apart from top-tier competitors in this 2019 Jaguar F-PACE vs 2019 Porsche Cayenne comparison. 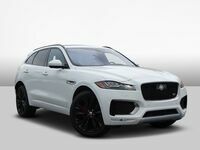 When you opt for the 2019 Jaguar F-PACE, you will have a choice of seven luxury-infused trim levels – Jaguar F-PACE, Premium, Prestige, R-Sport, S, Portfolio and the track-tuned Jaguar F-PACE SVR. With room for five passengers in a spacious, family-friendly cabin that is loaded with next-generation technology, the Jaguar F-PACE is tailor-made for drivers who want a luxurious family hauler. Even in the luxury crossover segment, price is an important aspect of any automotive debate and in that regard, the Jaguar F-PACE is a clear-cut winner in this 2019 Jaguar F-PACE vs 2019 Porsche Cayenne comparison. 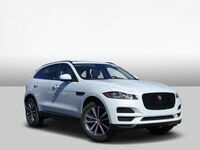 With a price tag that starts at just $44,600, the Jaguar F-PACE is an affordable and luxurious entry that comes standard with 18-inch alloy wheels, a 380-watt Meridian™ sound system, a 10-inch Touch Pro™ touchscreen infotainment system, a panoramic sunroof, Luxtec interior, Apple CarPlay, Android Auto, Lane Keep Assist, Front and Rear Parking Aids, an Emergency Braking system, a rearview camera and much more. A highlight of the Jaguar F-PACE cabin is a versatile 33.5 cubic feet of cargo space behind the second-row seats that will expand to 63.5 cubic feet of cargo space with the 40/20/40 split-folding rear seats laid flat – numbers that the Porsche Cayenne cannot match. Upgrades to the Jaguar F-PACE spec sheet include premium, full-grain leather upholstery, heated and ventilated front seats, a heated steering wheel, Xenon headlights, LED Signature Daytime Running Lights, 21-inch forged alloy wheels, an innovative Head-Up Display and onboard Wi-Fi. Performance is a hallmark of the Jaguar brand and the 2019 Jaguar F-PACE sets the bar high in this debate. With an arsenal of five potent powertrains, the Jaguar F-PACE provides plenty of performance-tuned options that include the all-new, track-ready Jaguar F-PACE SVR. An innovative torque-on-demand all-wheel drive system comes standard and can be paired with Adaptive Surface Response and All Surface Progress Control to upgrade your drive. Porsche Cayenne entries feature four powertrain options – a 335-horsepower 3.0-liter turbocharged V-6, a 434-horsepower 2.9-liter twin-turbo V-6, a 455-horsepower 3.0-liter hybrid and a 541-horsepower 4.0-liter twin-turbo V-8.